You’ve got until midnight to get QUANT ELITE FULL SERVICE MEMBERSHIP. That’s 50 % off the normal price when include my 12 months of the Quant Analytics at $97/month! It’s all part of Summer Sale Week and you can get it here, now. 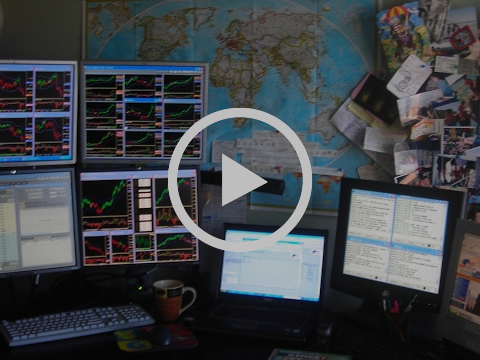 I’m also giving you 2 ALGO Trading with Source Code COURSES for FREE! Python Source Code for the above primitive system. Because on top of that, you’re also getting Interactive Brokers API Workshop for free as well! Current week of 3 Interactive Brokers API workshops LIVE. I also include Dukascopy demos for anyone interested in automatically trading micro forex accounts as well! These two bonuses are yours FREE when you claim your copy of Quant ELITE Membership with $1400 savings! But you’re getting everything for just $1397 + 12 months of my Quant Analytics Service as well. Each month is currently $97. This current monthly rate will substantially grow over the next few months! This offer expires TONIGHT at midnight. 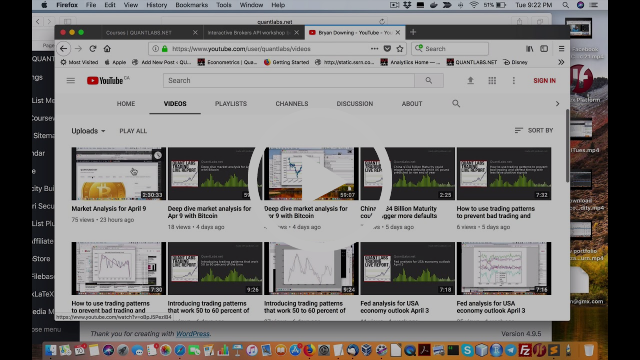 So if you want to save a bundle on Quant ELITE Membership and get 2 SECRET VIDEOS with Source Code and Interactive Brokers API Workshop free, go here now before it’s all over! This entry was posted in Premium Membership and tagged DISCOUNTED, Final notice, membership, owest rates, Quant Elite on June 16, 2017 by caustic. If you constantly taking off codes from your offering, I am not sure what do I really get? Keep on shrinking package? –> The package will get stronger as more people are less interested in the coding but actual trading results as in charts/reports. This is why things are slowly being removed as well as there are other FREE resources out there My older courses also are getting out of date as well. I would like a small trial of a program set (say for $99), if it works, I don’t mind going on and upgrade that $99 to $499 elite membership by paying additional $400. This a one time deal for now but I am looking at repeating at the end of Dec The removal of code is still on track though. It might be best to try out for a month if you want as that might be wise. The bottom line is I need to see some programs that works. At this stage I am interested in some c++ code to work with IB TWS’s API. If you could could a deal, I could try it. –> We did a complete IB API workshop earlier this week live. We have one last Q&A this Sat at 10AM EDT. All the course material exists including C++ for POSIX. Also, this package will be unbundled from my Elite membership come Dec 15. This will then bacome a standalone product marketed at least $500. I would be interested but not yet. Probably during 2017. So I would like to keep contact meanwhile. Next year I will performe EPAT course from Quantinsti and I will start the marvelous world of quant, but right now I’m too much rookie, and I ahve too much basics to learn prior to be able to take advantage of that offer/opportunity. à I have been at this for a few years but it seems few want to fully implement their own automated trading solution Many don’t get to that point due to the amount of struggle. As a result, I will be launching this new Analytics service in a few months which may be useful for you at that time. I hope you are doing good. I am focusing on Ernest P. Chan’s Algorithmic Trading Winning Strategies And Their Rationale at the moment. I had downloaded Michael Halls Moore Advanced Algorithmic Trading on Black Friday but I am not happy with it as there is only basic theory in it. _ I have seen the Quantstart which I don’t mind but there are other options aswell for Python. This is one of the driving forces why I am removing my coding solutions to focus more on Analytics in coming months. Ernie Chan’s stuff is good too esp. since he thanked me for some stuff in his second book. He is a very solid guy! I am planning to try Quant Elite membership in a few months. Do you know how to make a particle filter? This entry was posted in Premium Membership and tagged elite, feedback, final days, future, membership, Quant on November 28, 2016 by caustic. This entry was posted in Uncategorized and tagged bankable, HFT, membership, paying, quant trading, traders, video, YouTube on June 13, 2016 by caustic.